One of our biggest challenges was determining how to set out the Sports category so that it is easy to use. Hopefully you are happy with the result. We have listed Boating & Yachting and Cars & Motorcycles as separate categories, and have put everything to do with boats, yachts, kayaks, jet-skis and motor racing in those areas. The balance of the online sports retailers are listed by their main sport category, with some being listed a number of times because they cover multiple sports. Where possible, we have put related sports under a main sub-heading (i.e. scuba diving, snorkeling, surfing and water skiing are all under Water Sports). “General” includes those stores that sell a range of sports equipment or sports clothing, but don’t specialise in any particular sport. 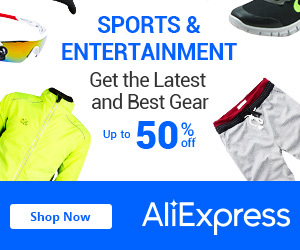 “Sports Clothing” lists online stores that specialise mainly in outdoor clothes or sports clothes. Specific sport “Categories” list stores that specialise in that particular sport. The best outdoor and adventure gear you will find. Camping equipment, hiking gear, swags, sleeping bags, tents, backpacks, climbing gear, outerwear and travel accessories. From archery, badminton and basketball to squash, tennis, table tennis and volleyball - online sports equipment, shoes, clothing and accessories across more than 20 sports. Australia’s largest officially licenced and endorsed ALF and NRL online merchandise store. Also covering the Rugby Union, Soccer, Cricket Australia, Motor Racing, Basketball and lots of memorabilia. Beckett has been the leading supplier for sports collectables, magazines and hobby materials for more than 30 years. They specialise in sports memorabilia, grading sports cards and major sports like basketball, motor sports, hockey, baseball and American football as well as coins and gemstones.